So. 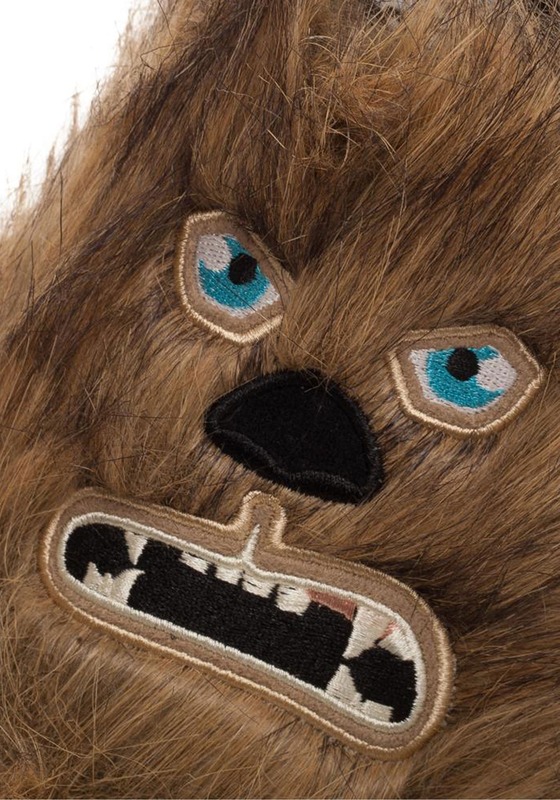 You've got your Chewbacca costume picked out for Halloween this year. It's great. 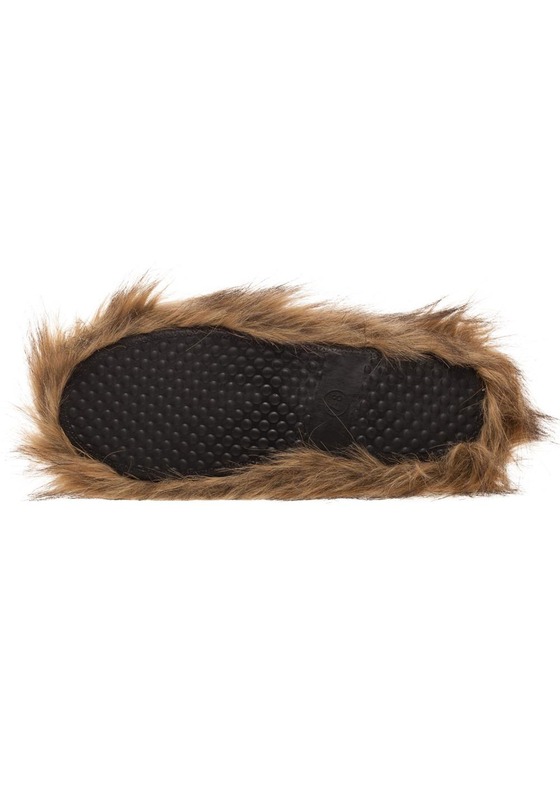 It's luxurious and furry, and the mask is epic. It even comes with a bandolier and a pouch, and you're going to get a Wookie bowcaster, too, so you're one fierce looking Chewie. You were probably just going to wear your sneakers with it, too. But no! No! Trust us, that'd be a mistake! 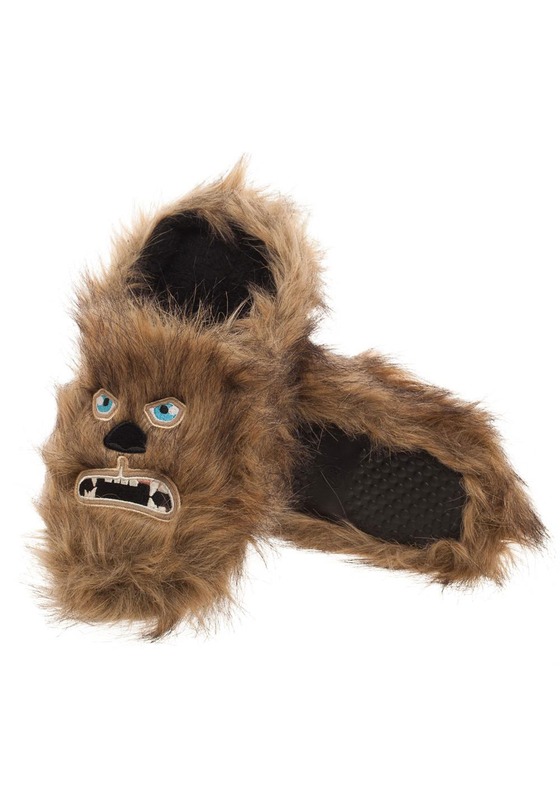 You'll have to forgive us if we're pretty enthusiastic about our costumes, but, we'd like to humbly suggest adding these Adult Star Wars Chewbacca Scuff Slippers to your costume. 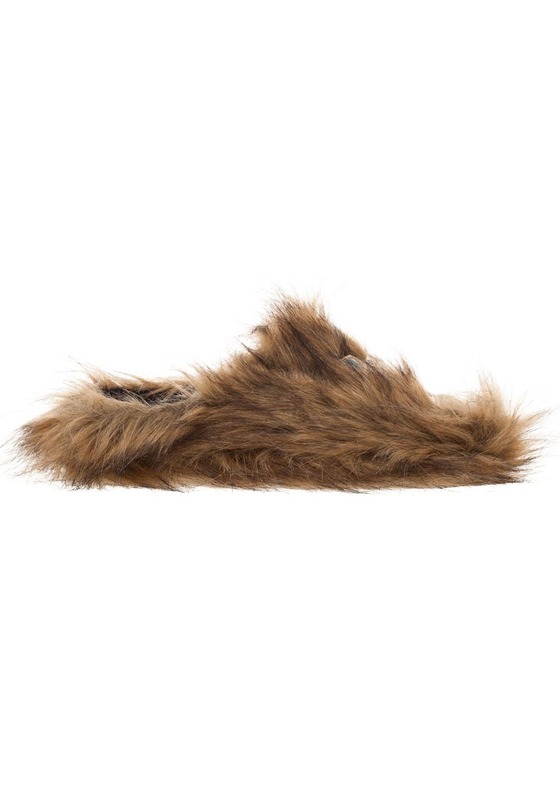 We know having Chewie's face on your shoes isn't exactly a screen accurate replica, but trust us, it'll look a lot better than your sneakers! 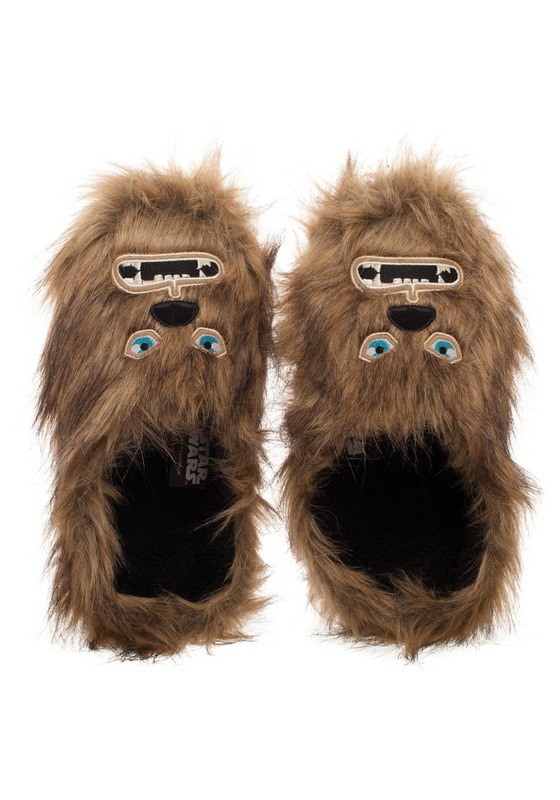 Star Wars officially licensed, these furry scuff slipper feature Chewie's face, and they've got plenty of fur to complete the theme. They're sized unisex in small, medium, and large. Rubber anti-skid soles make them the perfect selection for any home activities! 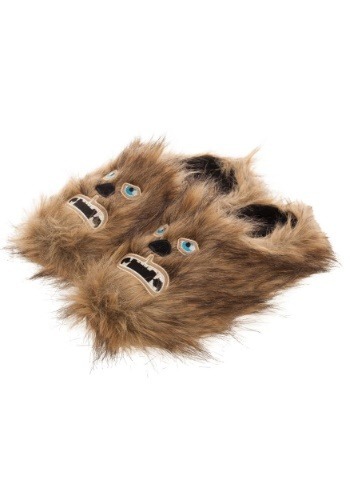 Okay, okay, you might not be shopping for these slippers to complete your costume, but to be sure, these slippers are costume inspired. Which is what we're all about! Costumes and costumes accessories is the name of our game, and it's what we're all about. Of course, we will also humbly suggest that you shop the rest of our Star Wars accessories, too. Because we've got the largest selection of items to be found!